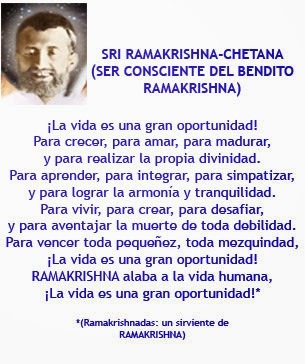 Ramakrishna Ashrama Argentina: ¡La vida es una gran oportunidad! Life is a great opportunity! To grow, to love, to increase, and to realize the divinity itself. 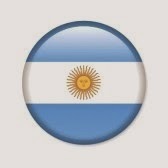 To learn, to integrate, to sympathize, and to achieve harmony and tranquility. To live, to create, to challenge, and to outdo the death of all weakness. To overcome all smallness, all pettiness, Life is a great opportunity!